During the process of completing a project, a subcontractor faces a variety of risks. Materials, equipment, machinery and supplies must be purchased, stored, transported, staged, processed and installed before work can be accepted by a general contractor or project owner. For subcontractors, the property they rely on to complete their work can be compromised along the way. Most commercial property insurance policies provide little to no coverage for property once it has been removed from a subcontractor’s premises. To guarantee that property will be insured up until the point that it is installed and accepted, subcontractors can turn to a form of inland marine insurance known as an installation floater. Pending acceptance by a project owner or general contractor.While installation floaters offer similar coverage to that provided by builder’s risk policies (another form of inland marine insurance typically purchased by project owners or general contractors), there are important distinctions between the two forms of coverage. Installation floaters are typically purchased by subcontractors that have a limited scope of work on a job because they provide coverage only for the insured subcontractor’s portion of a project. Installation floaters can be utilized for both new “ground-up” construction and for remodeling projects, the latter for which builder’s risk insurance may not be applicable. Additionally, policies can be written either on an annual basis to apply to all projects undertaken by a subcontractor or on per project basis. Put another way, installation floaters cover a subcontractor’s property before it becomes a permanent feature of a project or structure. Installation floaters are “all risks” policies, meaning that they cover all exposures other than those specifically named by the policy. Policies generally cover losses caused by fire, theft, explosions, traffic accidents, vandalism and several other perils. Unless covered through an endorsement, installation floaters may exclude losses caused by earthquakes or volcanic eruptions, floods, sewer backups, governmental action, nuclear hazards, war or military action, employee theft, or errors and omissions. While some brokers may argue that installation floaters cause redundancies in coverage, and they believe the project owner or general contractor’s builder’s risk policy will respond in the event of a claim, this is often not the case. In some instances, the type of work a subcontractor performs may be excluded from the terms of a builder’s risk policy. For example, subcontractors installing highly valued equipment or materials not covered under the builder’s risk policy (such as roofs, HVAC and electrical systems) may need to purchase an installation floater to be properly insured. 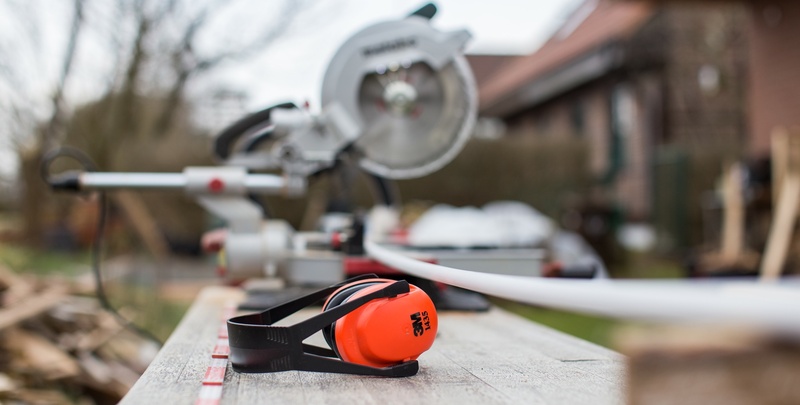 Even if a builder’s risk policy covers the type of work being performed, a subcontractor will likely have to absorb a share of the policy’s deductible in the event of a claim. Depending on the terms of the builder’s risk policy, it can be more cost effective for a subcontractor to rely on an installation floater. With these factors in mind, subcontractors should always evaluate a builder’s risk policy to determine whether their interests are properly insured and what portion of the policy’s deductible they may be required to absorb. Like other forms of inland marine insurance, installation floaters often exclude coverage for property while it is air- or waterborne. If a subcontractor’s work requires the use of a crane, helicopter, barge or watercraft to install property, the terms of an installation floater should be reviewed along with existing insurance policies in order to determine whether coverage is applicable and to identify potential coverage gaps. Trees, shrubs and plants are also commonly excluded from installation floaters. If possible, subcontractors that perform landscaping installations should have their policy amended to specifically cover this type of property. Companies that rely on temporary structures or falsework including, but not limited to, cribbing, scaffolding, forms, temporary fencing and temporary lighting or retaining walls, should work with their brokers to find the proper installation floater. Policies may include a sub-limit for these items, or, in some cases, exclude these items from coverage entirely. Lastly, policies may omit coverage for losses that occur during testing. Companies that execute start-up, performance, stress, pressure or overload testing of materials, supplies, machinery, fixtures and equipment should confirm that their installation floater meets their testing needs. Often, coverage for testing can be added at an additional cost. Produce records related to the value of the property affected by the loss.